It’s Wednesday and you know what that means! It’s time for a brand-new episode of the Pick of the Week podcast! If you were wondering why you haven’t seen the blue little dot in your iTunes feed lately, you’ll find out why. Simon is joined by Sebastian as they discuss last week’s comics. 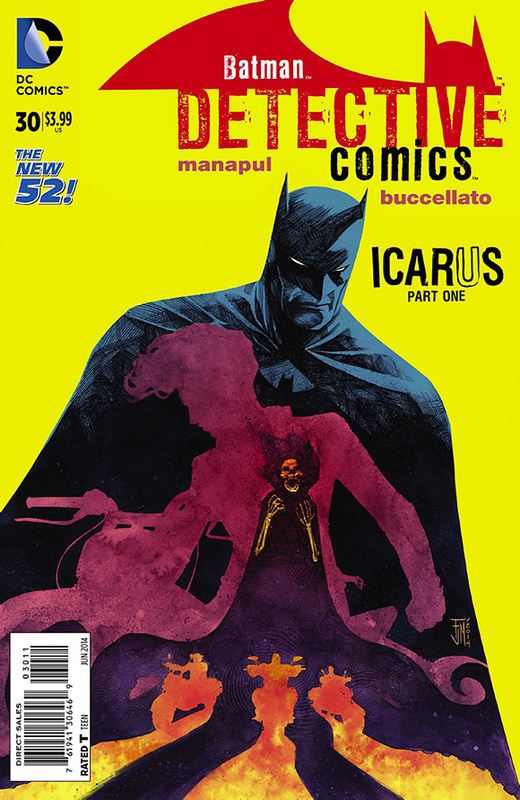 Simon had the pick and went with Detective Comics #30 from the new creative team, Francis Manapul and Brian Buccellato. Wait, there are more comics to talk about! The boys discuss three Marvel books, The Punisher, She-Hulk, and Moon Knight. Simon explains that you should be reading Elephantmen if you’re a fan of Fyodor Dostoyevsky’s, Crime and Punishment. Sebastian tells you what best new comic he’s been enjoying, yet just afraid is going to turn nasty and ugly . All this, plus the boys briefly talk about The Winter Soldier. Look for a special edition Podcast sometime next week and what new obsession Simon has on this brand-new episode! Remember you can send in any questions to questions@ComicImpact.com and we will answer your questions on the air.